The LEU bank has been in the works since 2010, when Kazakhstan put itself forward as a possible host. At a non-proliferation conference in 2009, then-IAEA head Mohamed ElBaradei endorsed the idea of an international bank for LEU from which non-nuclear states could obtain material for the operation of nuclear power plants without having to develop their own enrichment facilities, as well as establishing a reliable back-up supply for IAEA member states. “Every country that would like to get the fuel, that would like to get the technology, the reactor, will get that, but not necessarily developing their own enrichment facility. And assurance of supply mechanism should be reliable, should be apolitical, should be based solely on non-proliferation criteria,” he said. Facilities that enriched uranium for fuel use “are a few months away from a nuclear weapon,” ElBaradei said at the time. Kazakhstan put forth its candidacy to host the bank in 2010 and in April of this year an agreement was reached with IAEA. Russia hosts a similar reserve bank in Angarsk. In operation since 2010, the Russian LEU bank is entirely owned by Russia, but is operated under the IAEA. When the facility opened, the IAEA said it fulfills one of the group’s core aims: assuring supply for peaceful uses of nuclear power. The bank being established in Kazakhstan, however, will be owned and operated by the IAEA itself. Kazakhstan will bear the daily costs of operating the facility–last said to be established at the Ulba Metallurgical Plant (UMP) in eastern Kazakhstan–but the IAEA will be responsible for the purchase and delivery of the LEU, the purchase of equipment, and other technical resources required. Donors making the project possible include the United States, the EU, Norway, Kuwait, the UAE, and the Nuclear Threat Initiative. This complex operation was the culmination of a multi-year effort between the United States, Kazakhstan, Russia and the International Atomic Energy Agency (IAEA). Kazakhstan has become the poster-child for non-proliferation. After the collapse of the Soviet Union, Kazakhstan was left with a sizable arsenal of nuclear weapons–the world’s fourth largest at the time–which it voluntarily gave up in the 1990s. Since then, Astana has made non-proliferation its calling card. 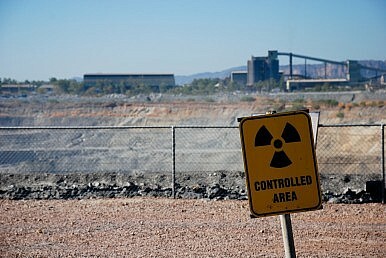 The country is, however, uniquely placed to produce and store uranium. In 2013, Kazakhstan produced 41 percent of the global supply of mined uranium. Since 2009, it has been the world’s overall largest producer of uranium. As June progresses, and negotiations between Iran and the P5+1 move toward a possible conclusion, we should expect Kazakhstan to continue to flaunt its status as a central node of nuclear power, sans nuclear weapons. Nazarbayev Goes to WashingtonKazakhstan Wants to Move the UN to AsiaKazakhstan’s Nuclear IndecisionIs This the Closing of the Kazakh Window Into Xinjiang?Who Will Run Post-Nazarbayev Kazakhstan?